Extra fees charged on tickets across the whole of the West End have dropped to an average of just 32p, down from £1.12 in 2013. 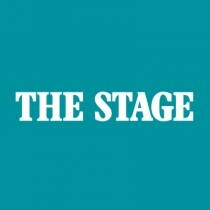 According to The Stage’s ticketing survey, the average extra fee in the commercial sector is now 42p, compared with £1.06 last year. In the subsidised sector, no extra fees are charged after an initial price is quoted, compared with £1.30 in 2013. Extra fees, under The Stage’s assessment, are those not made clear to a consumer at the first step in booking a ticket. Jonathan Brown, chief executive of the Society of Ticket Agents and Retailers, explained that the drop does not mean fees “are disappearing”. He said the decrease was the result of ticket companies abiding by the Committee of Advertising Practice’s regulations, which were revised in 2013 to ensure companies disclose fees from the start. “We know from the growth of the ticket resale market that customers are prepared to pay a high price for sought-after tickets, and the premium prices we see for some shows are a reflection of that. As the technology, science and commercial wisdom behind dynamic pricing find their place in theatre ticketing systems, there’s no doubt we are going to see an increase in flexible pricing models in the next few years,” Brown added. The Stage found that most ticket prices listed to a consumer often include a breakdown of the cost or now explain how much will be added on to a selected ticket from the start. However, there were instances where fees were still charged on top of the prices initially quoted, with these being labelled transaction fees in most cases. According to the Advertising Standards Authority, if a transaction fee is on a per order basis, and cannot therefore be included in the stated price, it must be stated clearly alongside the price. The Royal Shakespeare Company’s production of Bring Up the Bodies, now playing at the West End’s Aldwych Theatre, adds £2.50 to prices initially quoted. This is to have the ticket left at the box office. The vendor for this show is Ticketmaster, which also sold tickets for other shows that did not add extra fees during the booking process. Responding, Ticketmaster managing director Simon Presswell said: “The reality is that the fees paid cover the cost of providing a wide range of services to our clients, whom we sell tickets for. These services include retail distribution (websites, call centre and customer service), payment processing, ticket fulfilment (printing, packing and distributing the tickets) marketing support and technology solutions (including access control at the venue). The ASA says it has assessed 130 ticket sellers over the last year – including theatre websites – and has worked with 55 business to correct pricing on websites. It said it is now doing the same with regional theatres. In 2013, the ASA said it received 71 complaints about 63 theatre adverts – including websites – and the company said that, anecdotally, a “significant proportion of those complaints appear to be about misleading pricing”.